Treasury Tuesday - It's because I'm green isn't it? The Etsy Treasury this week is another nod to one of my favorite movies... How the Grinch Stole Christmas. It's just not Christmas without watching this movie. I also threw in a few more images of things that I thought were pretty cool. And last but not least, a yummy looking drink. It's called the Mint and Chip. Click on the picture for the recipe. 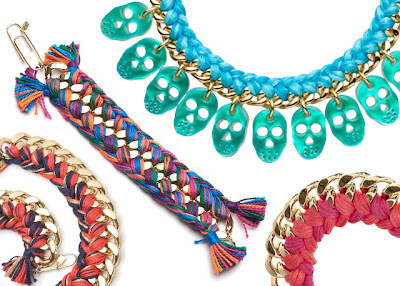 I've come across so many cool bracelet DIYs that I thought I'd put them all together in one post. 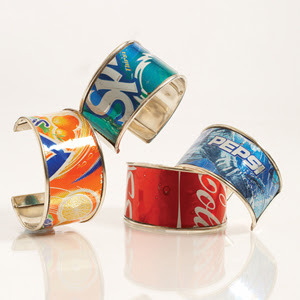 The first one is a soda can bracelet made by Heather of The Greenest Dollar. The next four were created by Erica of Honestly...WTF. Click on the photo for step by step instructions. And check out her blog while you're there. She has some great stuff! The next bracelet is made with polymer clay! I wouldn't have guessed that one. Check out Lindsay's instructions on Instructables. Here is the easiest of the bracelets to make. You just print it out. It's a Hermes! Interesting. This bracelet is made by Tara St. James with old zippers. I've seen both men and women wearing this next one. They call it a 'survival bracelet' because you can unravel it and use the cord in an emergency. I think this jersey knit bracelet is fun. I made one this summer using part of an old t-shirt. I hadn't seen this tuturial on V and Co. so I simply braided mine. Turned out cute! 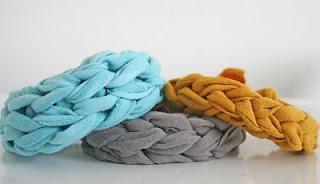 Last up is this rope bracelet by Heidi of Sew.Craft.Create. I love it, I just don't know that I'd have the patience to make it.